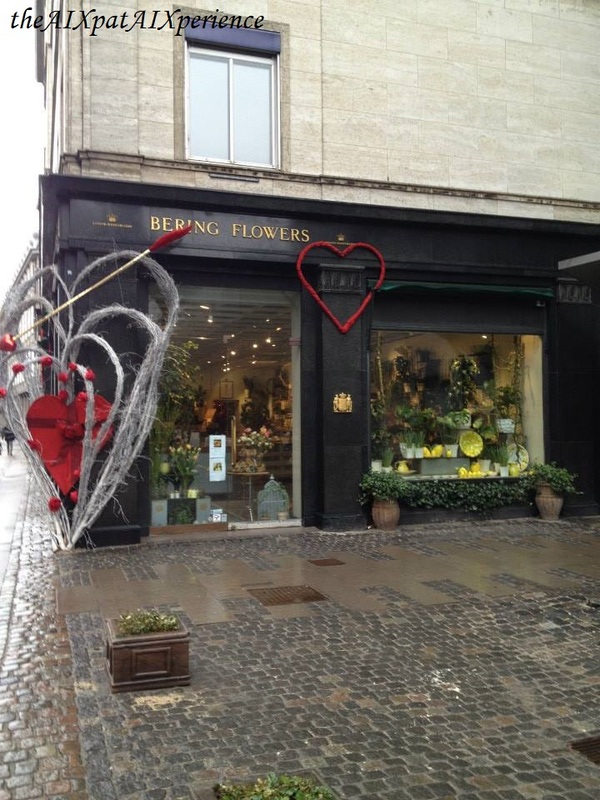 Here are some great words of advice for anyone thinking about visiting Copenhagen: Don’t visit Copenhagen in Février. Just don’t. 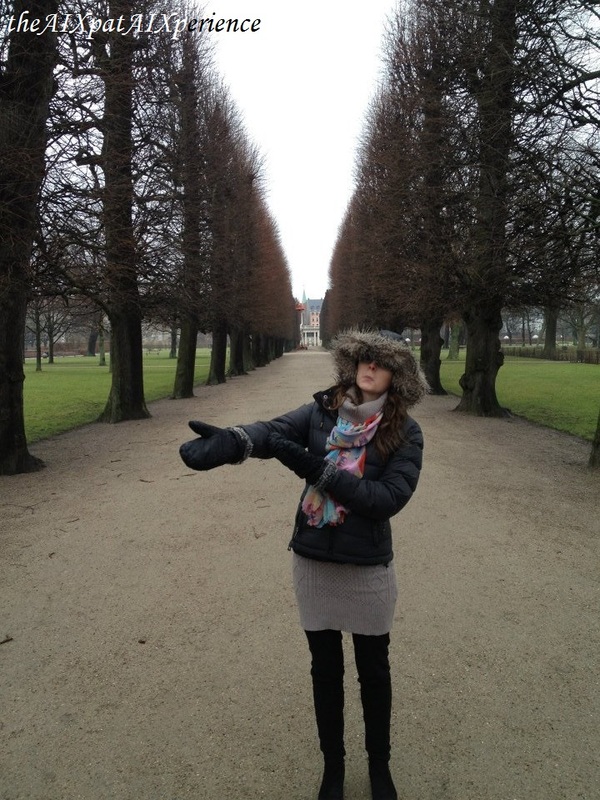 You’ll be tempted by cheap airline prices and affordable lodging… but, there’s a reason for this: IT’S FREEZING! It’s raining ice…and I’m wearing 2 sets of gloves, 2 sets of scarves, and 2 winter coats! 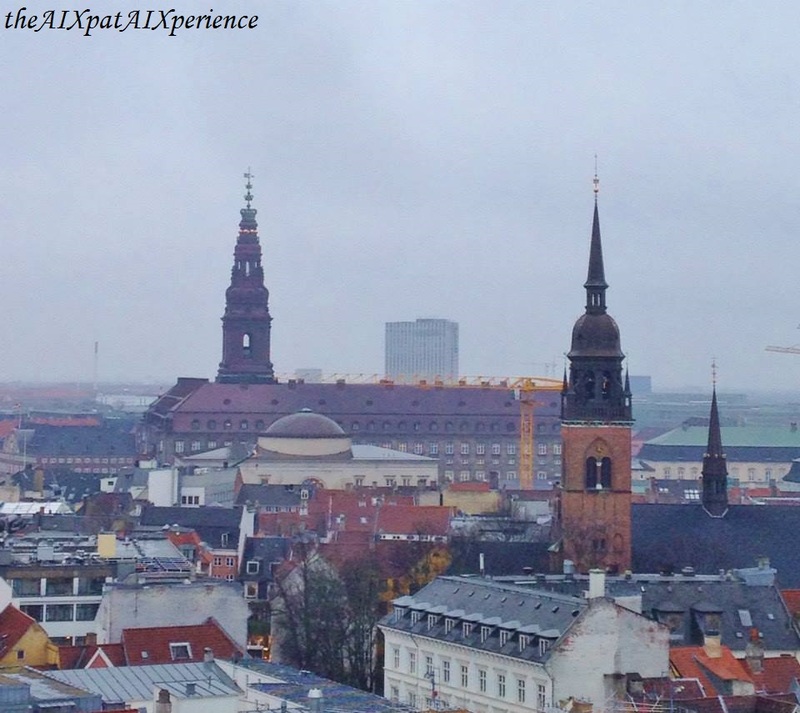 Copenhagen was only one stop on our 3-city tour of northern Europe: We also made stops in Stockholm and in Amsterdam. 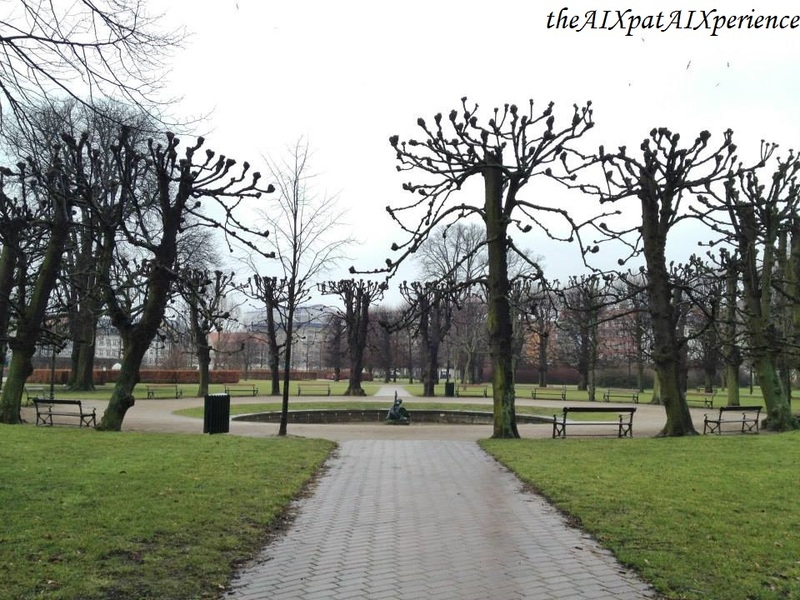 Les vacances of Février were coming around the bend, so, mon chéri and I decided to embrace the affordable-ness of traveling in northern Europe during these cold winter months. Once we landed in each destination, we made a vow never again to travel anywhere cold during winter! 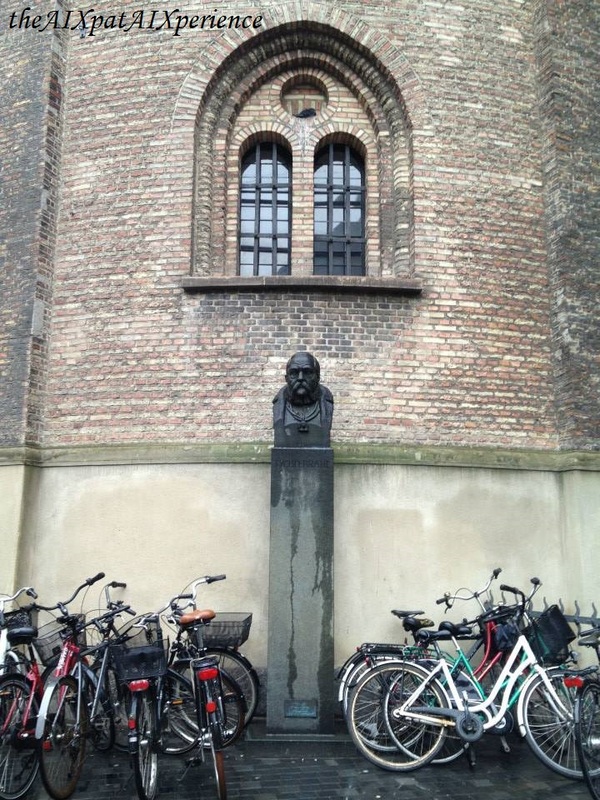 Even during the winter (in the middle of an ice storm) in Copenhagen, people still use their bikes. 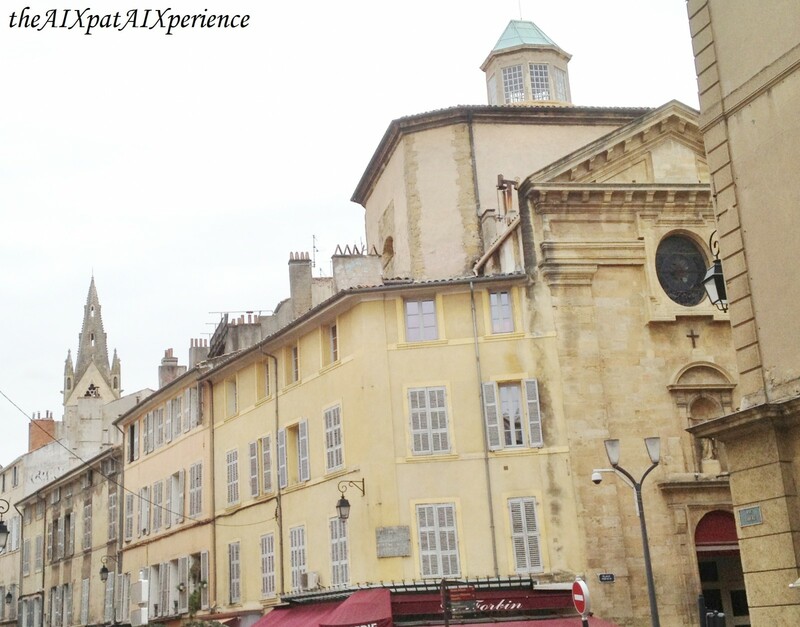 Now that it’s summertime in Aix, I’m ready to share our freezing, Février aventure. What can I say…It took us 6 months to defrost. It all began when we got off at our stop from the métro. 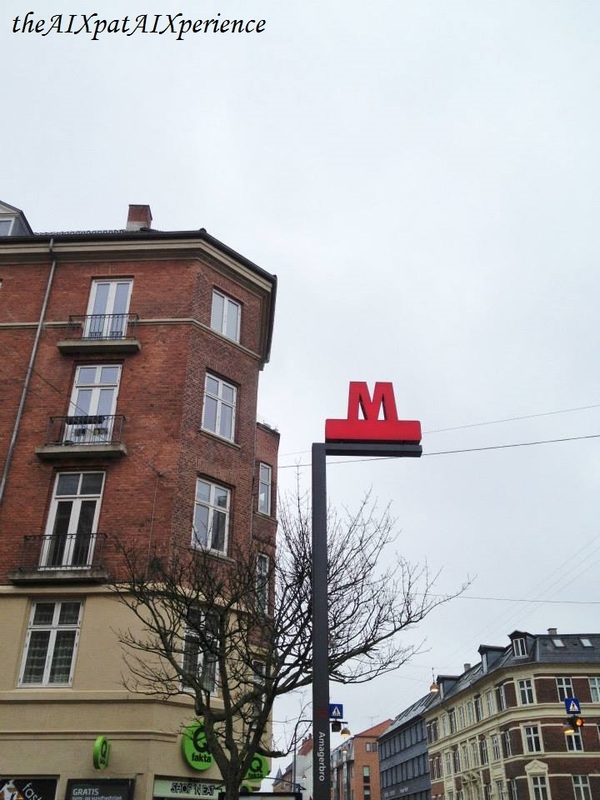 The métro sign in Copenhagen. We walked in circles for a few minutes until we made sense of our host’s directions. Thankfully, it was still daylight as that made the appartement easier to find. We ended up booking our lodging on airbnb.com. So, we had a host, who was barely around, but who gave us some excellent tips on restaurants and sightseeing. He was very helpful when he was there, but he also gave us space to relax and enjoy the warmth of the appartement alone, which we appreciated. 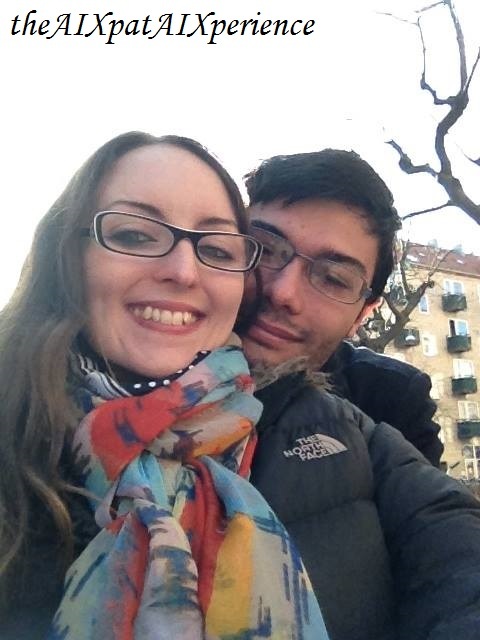 *We stayed in an appartement that can be seen in the background. 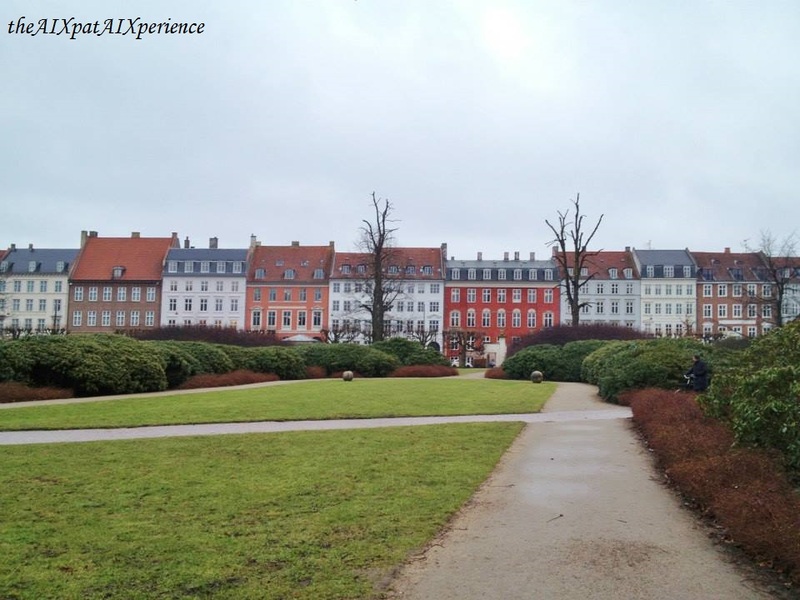 We tried to organize our trip so that we spent more time exploring Copenhagen indoors, but we found it impossible not to get caught up in the architectural beauty as we walked around the city. For this very reason, we ended up spending a lot of time out in the cold. It was worth it, but we have no intentions of repeating this experience. Botanisk Have – le Jardin botanique/Botanical Garden. 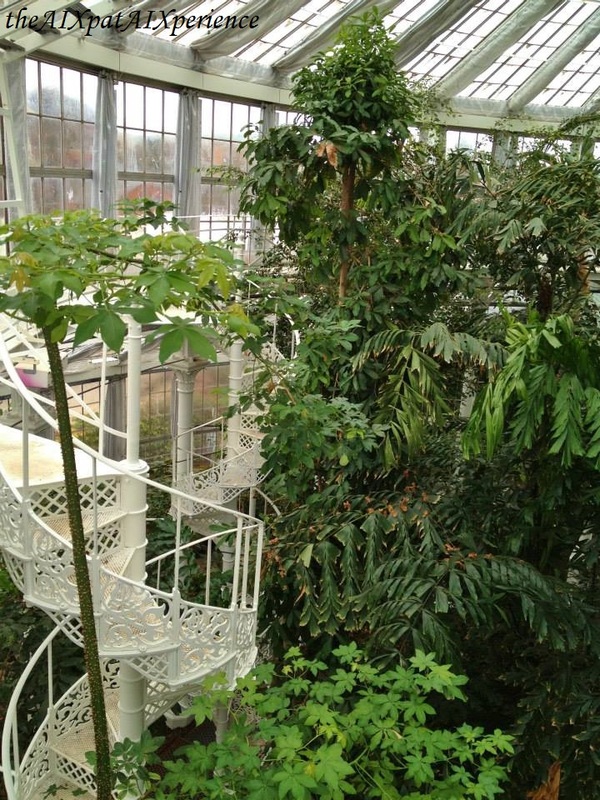 The botanical gardens are free to explore – including the greenhouse! And, the greenhouse – surrounded by thriving, vibrant green plants – is the best place to warm up! Look! 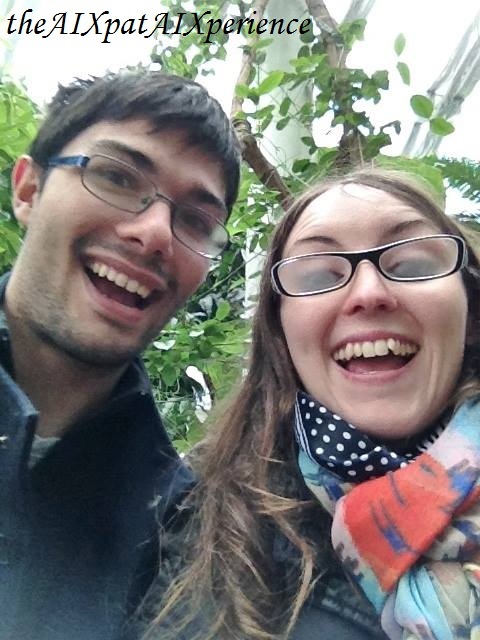 Our glasses are foggy… a very good sign that we’ve found the warmth! 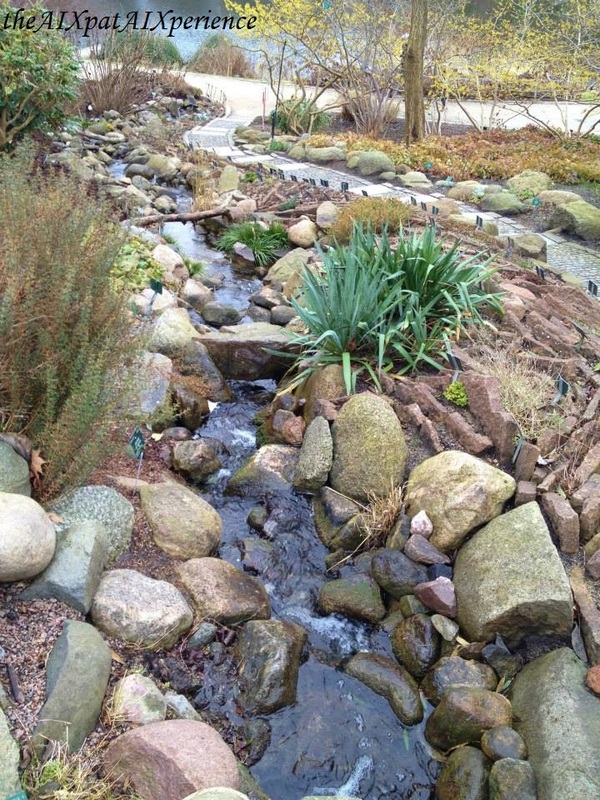 Even during the winter months, the botanical gardens are beautiful! 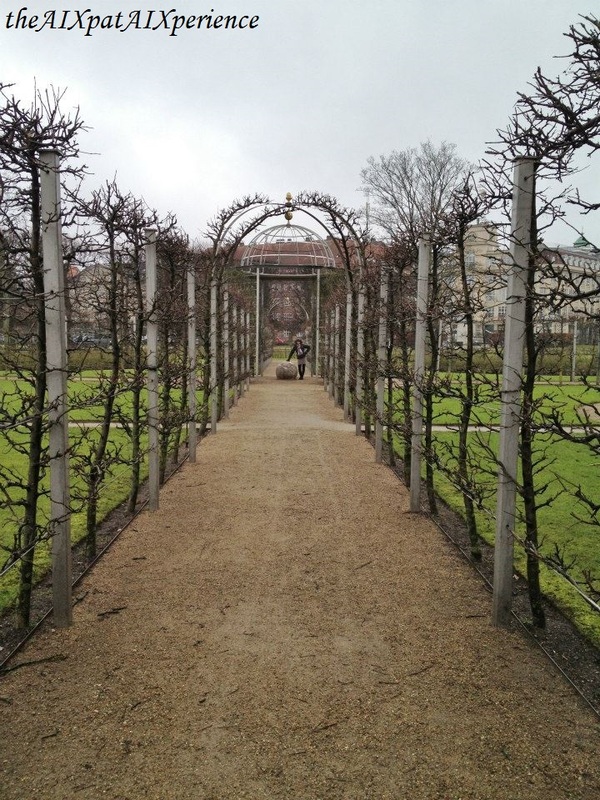 Kongens Have – les jardins du château de Rosenborg/Rosenborg Castle Gardens. The gardens are free to explore! The gardens offered an eerie beauty that can only be captured during the winter months – just be prepared to experience snow, sleet, and ice at any moment. What can I say – you get what you “pay” for. Post & Tele Museum – Le Musée de la Poste et le Téléphone/Post & Telephone Museum. 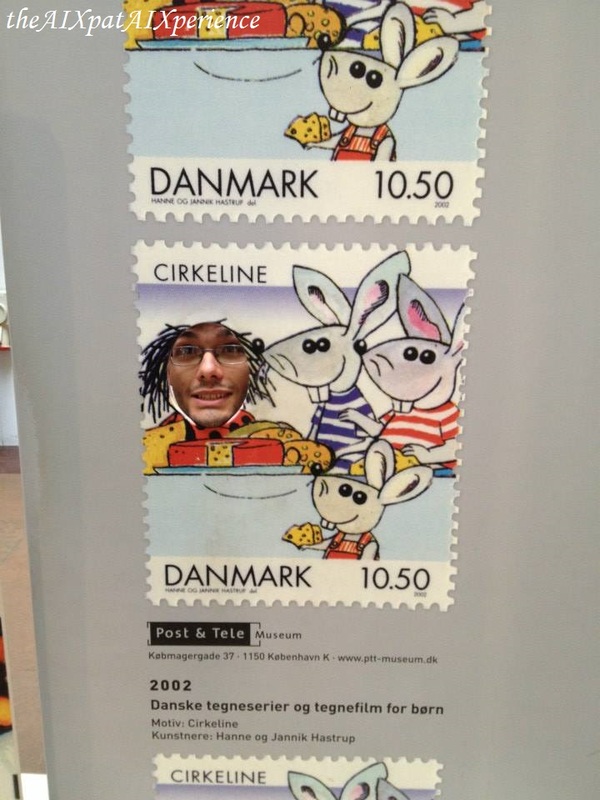 This museum is free! 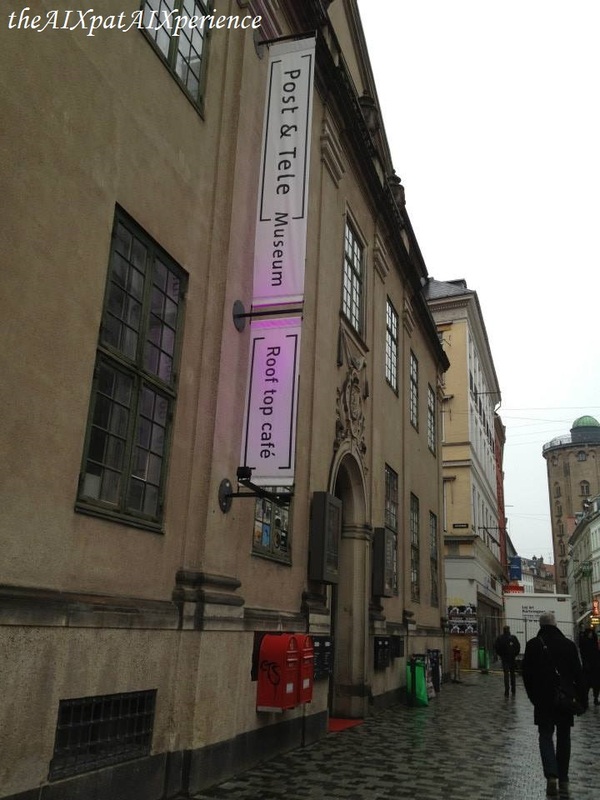 The museum explains the history of the post… …and the telephone system in Denmark. It’s small enough that it’ll take only about an hour to get through, yet interesting enough to spend that hour learning about postal worker history while warming up (and preparing for another bout of dodging ice-rain). Rundetårn – la Tour Rond/The Round Tower. 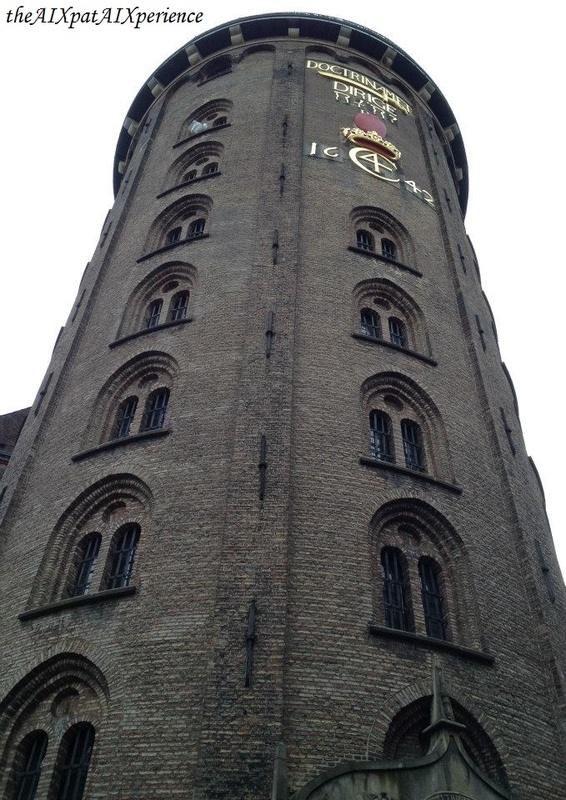 The Round Tower costs DKK 25 or 3.35€ ($3.67)*. 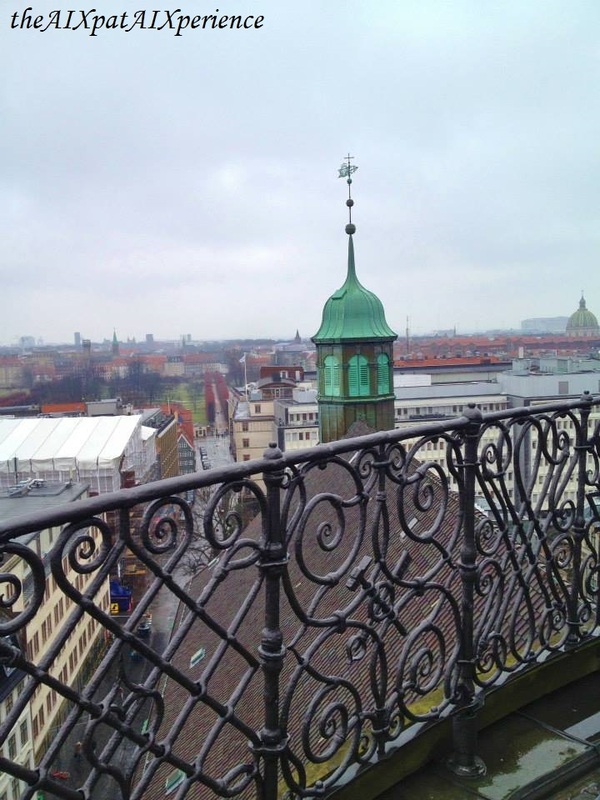 It’s quite the climb to the top, but the views of Copenhagen (even during the winter months) are definitely worth it! There are resting spots and even a bathroom on the way up (and down, obviously). 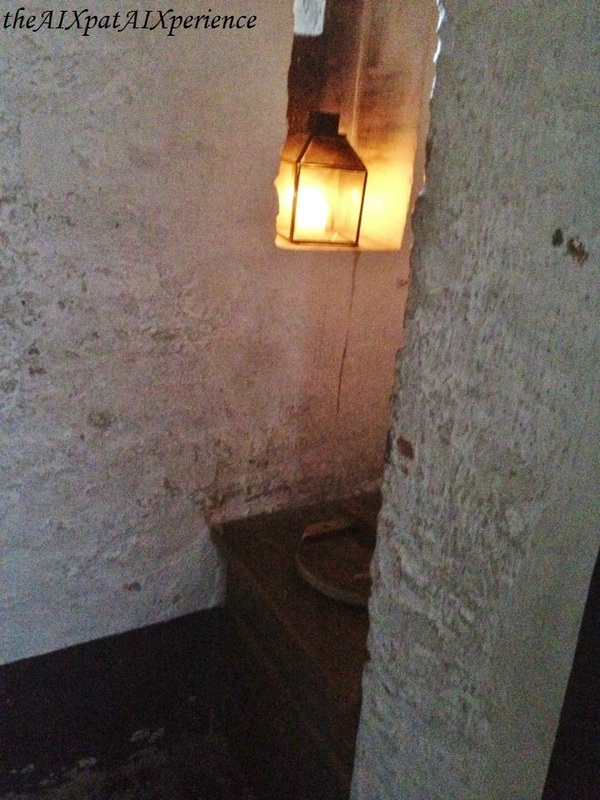 Obviously, this is the historical bathroom. For those weary travelers that prefer modernity, there’s a more modern one next to this one. 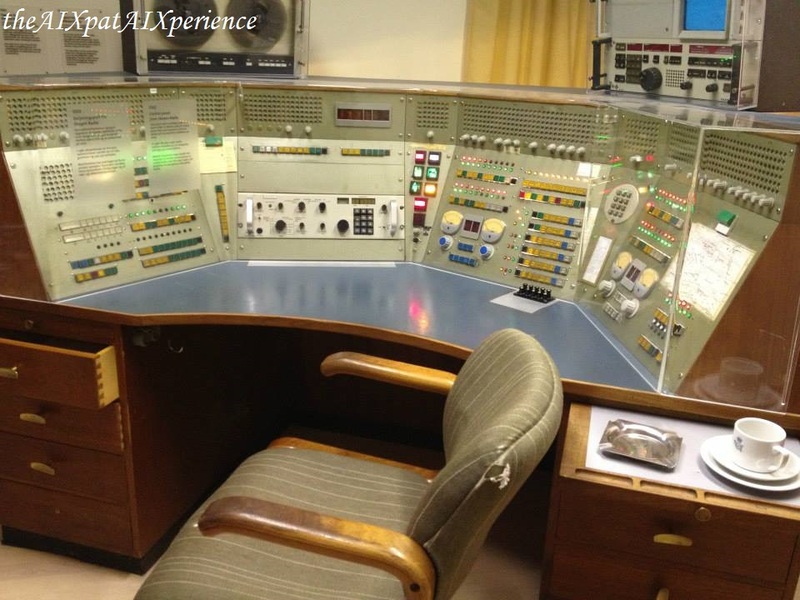 On one level, there’s also a small museum that explains the history of the tower. So, all-in-all, you get more than what you pay for! Rosenborg Slot – le château de Rosenborg/Roseborg Castle. 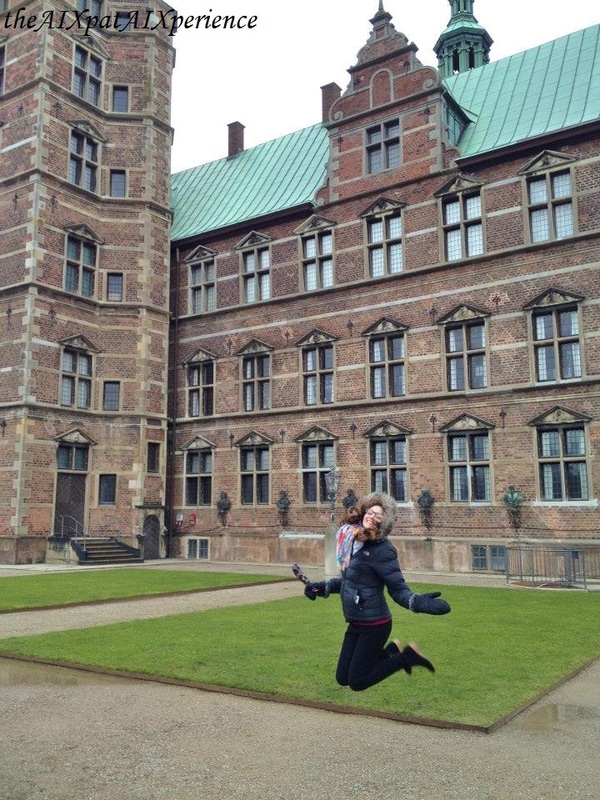 Visiting the castle costs DKK 90 or 12.06€ ($13.21)*. 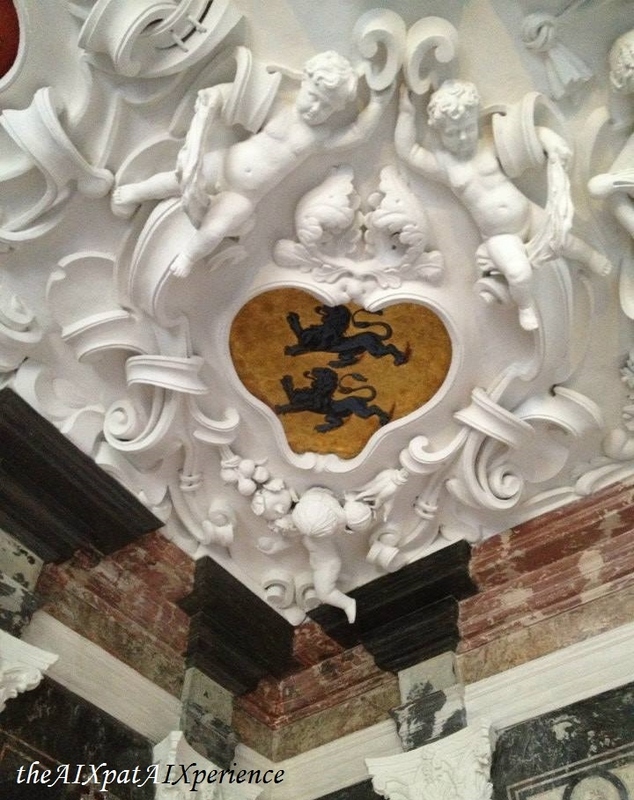 The ceilings in the castle are magnificent! 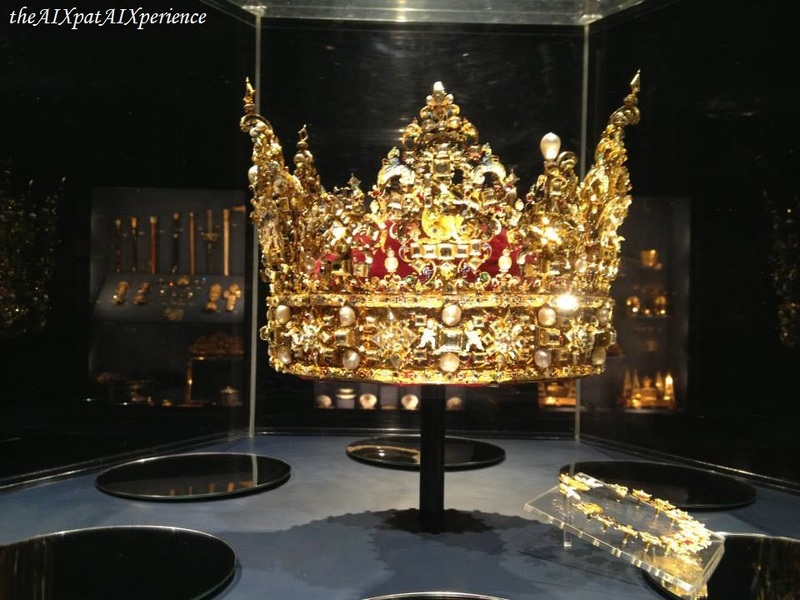 The entrance price also includes a look at the crown jewels. 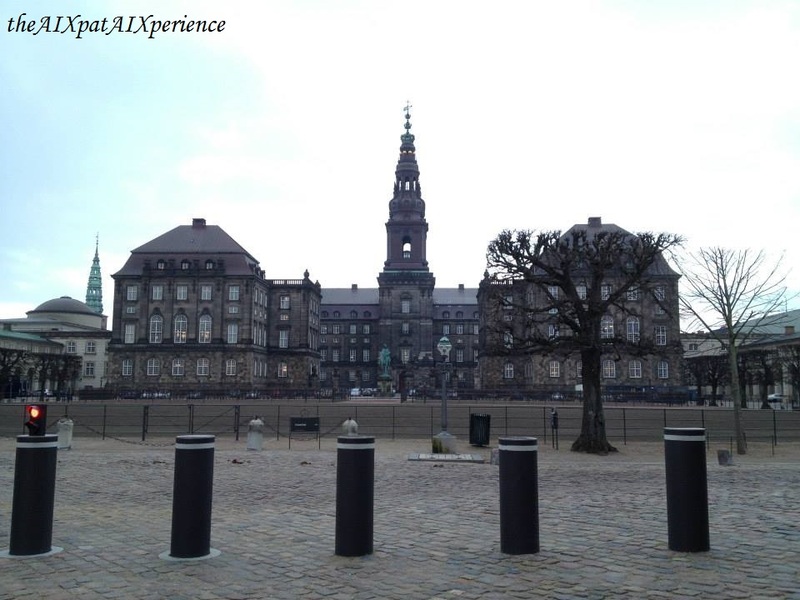 Christiansborg Slot – Le palais de Christiansborg: parlement Danois/Christiansborg Palace: Danish Parliament. 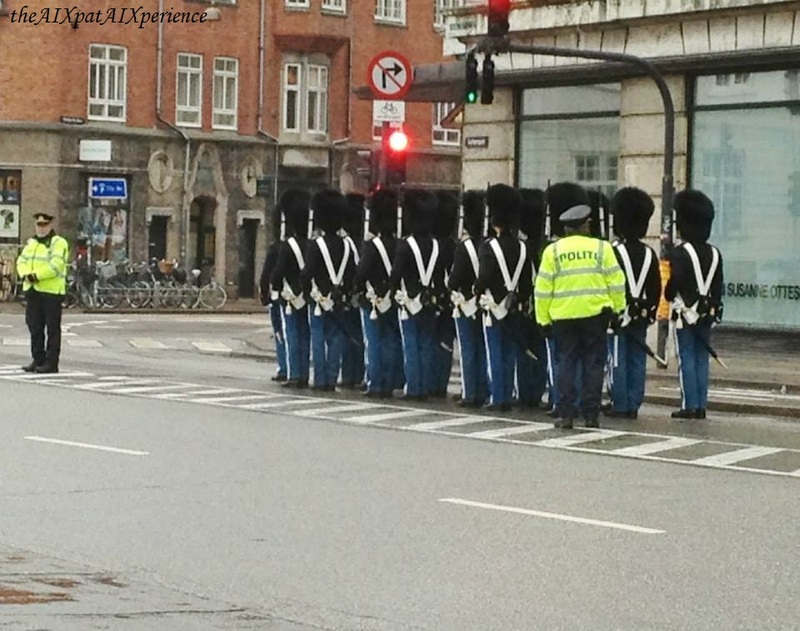 …to watching the Danish guards march in the street (and stop at every red light), Copenhagen is a super, modern city with an imperial twist. Although I enjoyed my time touring the city, the next time I visit will be when the weather is nicer. 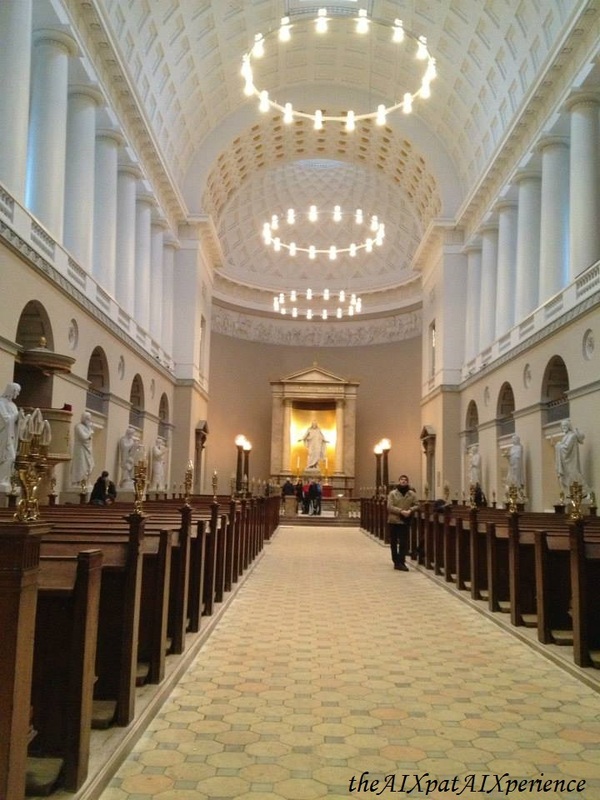 However, if you ever find yourself in Copenhagen during Février, in addition to my top 5 places to visit, I suggest you embrace the free-entry into the churches/cathédrales any chance you get because you will encounter times when you can no longer bear the cold weather. Vor Frelsers Kirke – l’église de notre-seigneur/the Church of Our Lord. 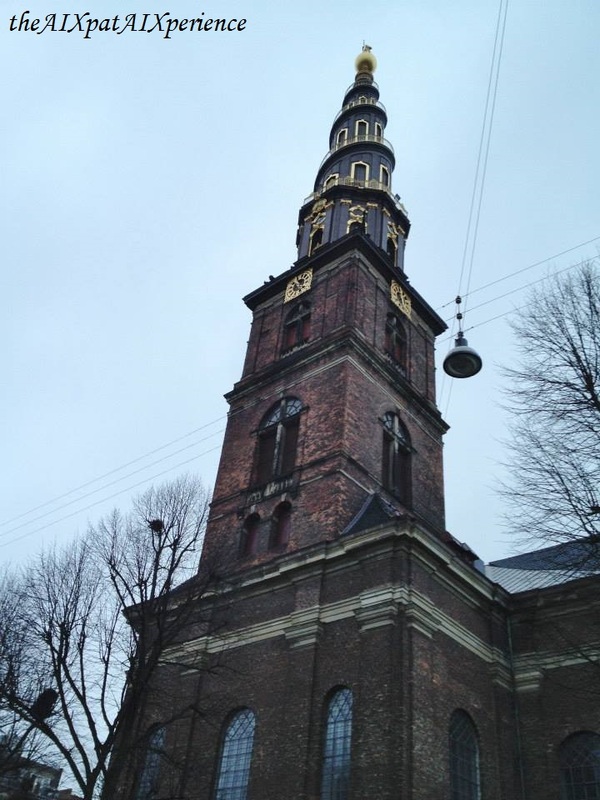 Whether or not you’re religieux, the churches/cathédrales in Copenhagen are worth admiring architecturally. Trinitatis Kirke – L’église de la trinité/Trinity Church. They’re not as old as those found in France or Italy, for example, but they still have a lot to offer. 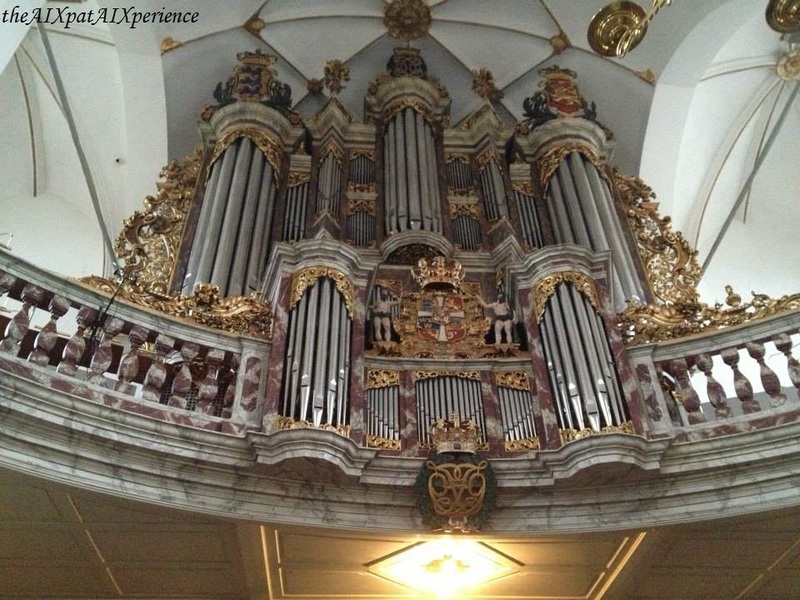 Vor Frue Kirke – Cathédrale Notre-Dame de Copenhague/The Copenhagen Cathedral of Our Lady. 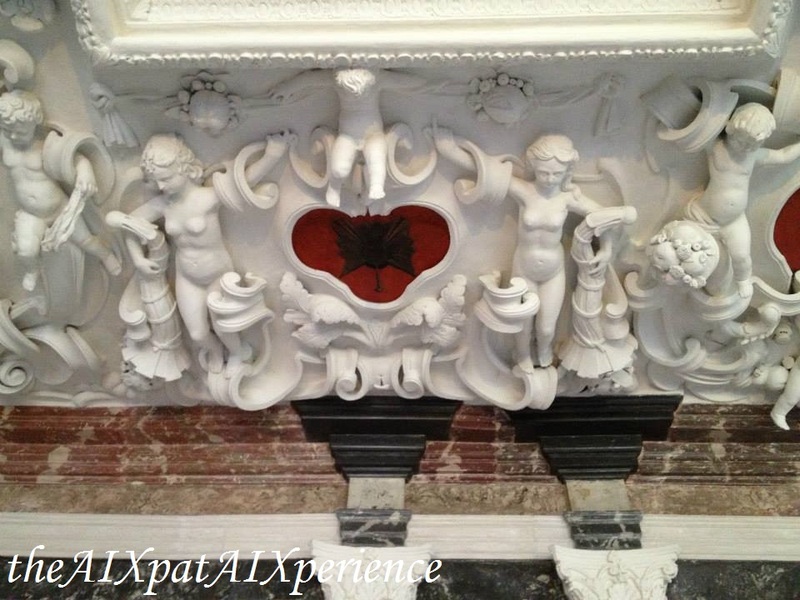 *The conversion from DKK to Euros and US dollars is good only for August 3, 2015. Since conversion rates tend to fluctuate, it’s possible that the amount in DKK will change once converted into Euros and US dollars after August 3, 2015.